Preparations of probiotic bifidobacterial and lactobacillus lectins possessed system affinity to mannan and mucin-type polymers. It was shown that these lectins possess fungistatic and fungicidal activities against nystatin-resistant Candida albicans clinical strains. Lectins revealed destructive properties with respect to C. albicans and Staphylococcus aureus biofilms, depending on clinical strain origin and lectin preparation type. Synergistic antipathogen activities between lectins and between lectins and nystatin were observed. In the presence of lectins, pathogen biofilm degradation occurred in sequential steps, including biofilm refinement, appearance of edge cavities, segmentation, detachment of fragments and their lysis. Fungal response to lectins was more complex compared to that of staphylococci. Cold stress improved pictures of lectin antipathogen action. 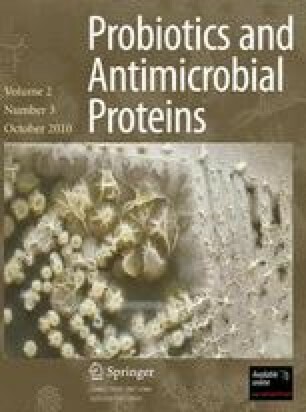 The data indicate that probiotic bacterial lectins are members of a new class of antimicrobials—destructors of pathogen biofilms. The authors thank Prof. Chikindas and all other reviewers for fruitful discussion and value comments and recommendations. The authors also thank Katia Noll Sutyak for the technical help in preparing this article.